Join Shannon Rose for a Breath of Bliss Ceremony to awaken to your highest potential with breath, movement and sound. 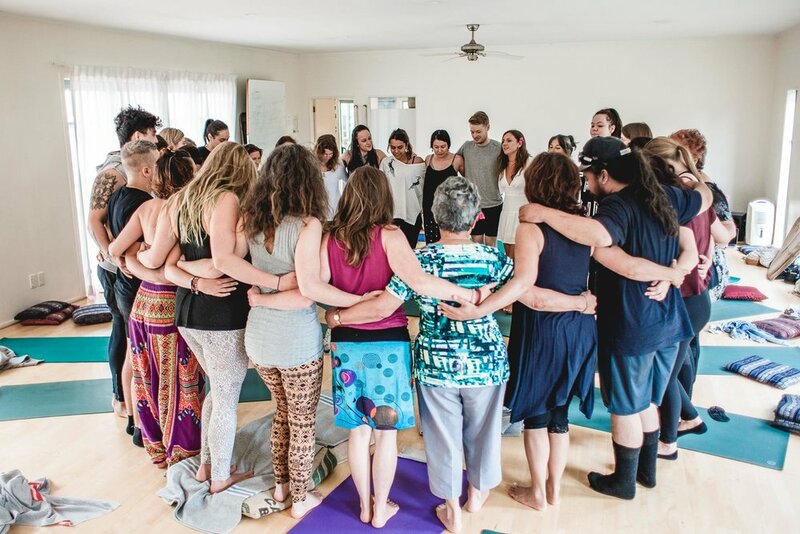 Together we create sacred space for a two hour ceremony including intention setting, movement and heart sharing to help you drop into a deeply present state before we lie down for an hour long circular, connected breath journey. - Basically powerful, mind-altering experiences of deep presence, heart-opening and connection. Come along and experience the gift your breath has to offer, connecting you to the truest essence of you. $42 NZD early bird before 4 February or $55 NZD on the door. Water, notebook, eye mask, an open mind and heart. Yoga matts and blankets provided. Shannon Rose is a trained Breathwork Facilitator with Breath of Bliss from Aotearoa with a passion for using connected breathing, ecstatic movement and sound, to activate remembrance journeys of your true essence, ancient wisdom, clarity and divine connection. Her mission is to help 1 million people awaken to their highest potential through transformational events, aimed at connecting to the pure love, compassion and unity at the core of each of us. Being of Maori descent, she brings the ancient wisdom of her ancestors and Earth Mother Papatuanuku to help guide and support her ceremonies.